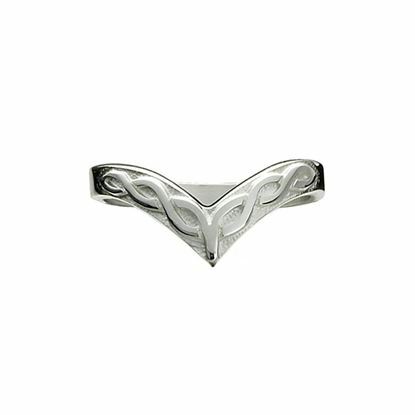 This stunning Celtic Interlace Ring features Celtic Interlace, and ancient design with no beginning and no ending, meaning eternity. 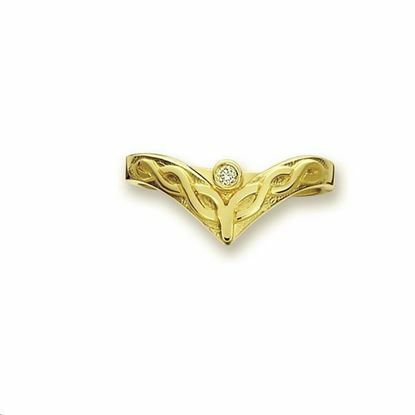 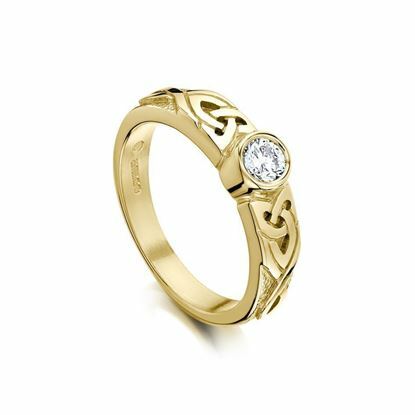 This traditional Ring features Celtic Interlace, a symbol of everlasting friendship. 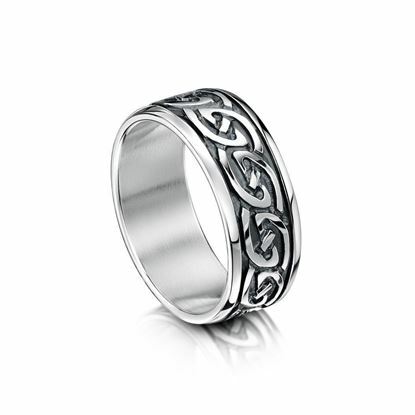 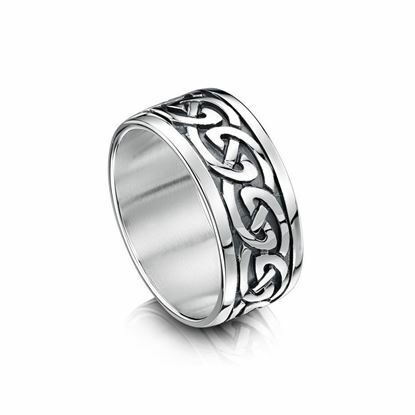 The interlacing Celtic Knot work as a symbol of continuity, like the ring itself. 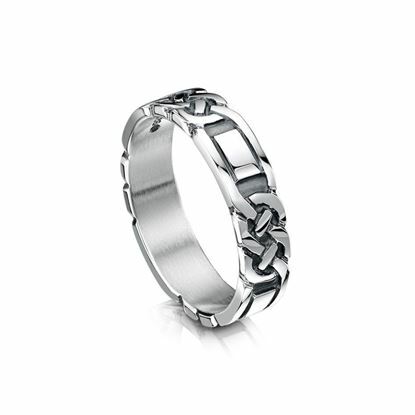 I have restyled these knots into designs for matching suites of jewellery, including ladies and gents Wedding rings. 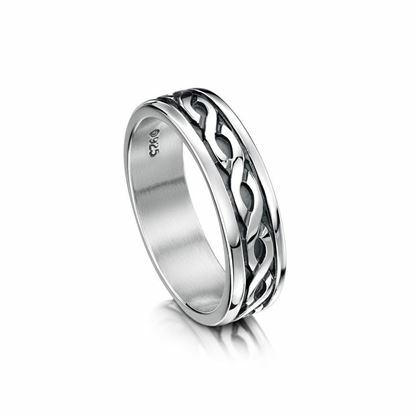 The interlocking knot still has a significant meaning for two people wishing to pledge their devotion. 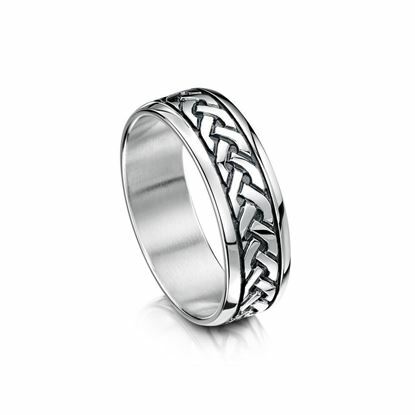 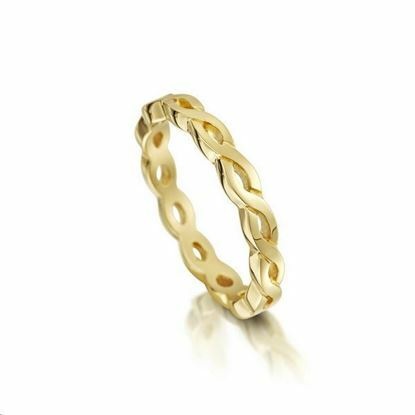 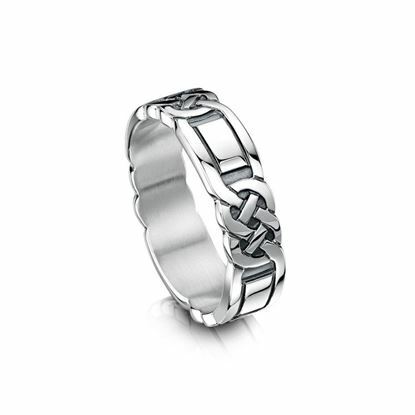 The traditional matching ladies and gents bands are popular as Wedding Rings - the interlacing Celtic Knot work as a symbol of continuity, like the ring itself. 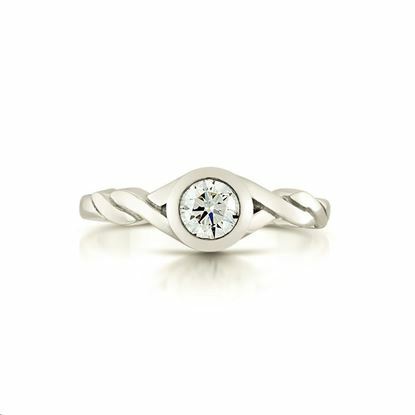 This beautiful ring is shown in silver and hand set with a 4.1mm cubic zirconia. 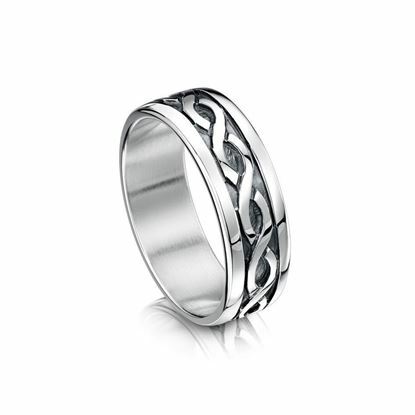 A matching silver band is available (RX181) to complement this design, creating a stunning set of rings.